After complex cabling projects come to an end, there are always a few lessons to be learned. As we uncover them, we want to share these lessons with you. As Toyota’s team expanded, the company brought employees from four different divisions together in one location to foster collaboration. A 2.2 million-square-foot, billion-dollar corporate headquarters was built in Plano, TX, that spans seven buildings and houses 4,000+ employees. To support the kind of work being done on this campus – engineering, accounting, sales and marketing – millions of linear feet of cable were needed to create an infrastructure that fosters collaboration. The cabling system also needed to be able to support IoT convergence and Power over Ethernet (PoE) to connect devices like surveillance cameras and wireless access points to the network. WiFi stretches across the 100-acre campus; employees can connect whether they’re outside, in one of the 11 onsite restaurants or at the onsite pharmacy. Cabling projects of this magnitude require lots of planning and coordination. When Belden partnered with Toyota to provide cable and connectivity for its Plano campus, we decided to form Team Toyota. We assigned specific roles to Belden employees so Toyota would receive consistent, continuous support from several different departments, from logistics and customer service to technical and product support. Expectations were defined upfront so all team members knew what to anticipate in terms of communication. A project calendar was also created so everyone knew exactly when certain things were happening – and who at Belden was managing each of those tasks. This gave Toyota peace of mind in knowing that, even if a Belden Team Toyota member was out sick or on vacation, an entire group of people was still available to answer questions and provide service. Before walking onto the Plano jobsite, installers completed Belden-led training to become proficient at completing successful terminations. 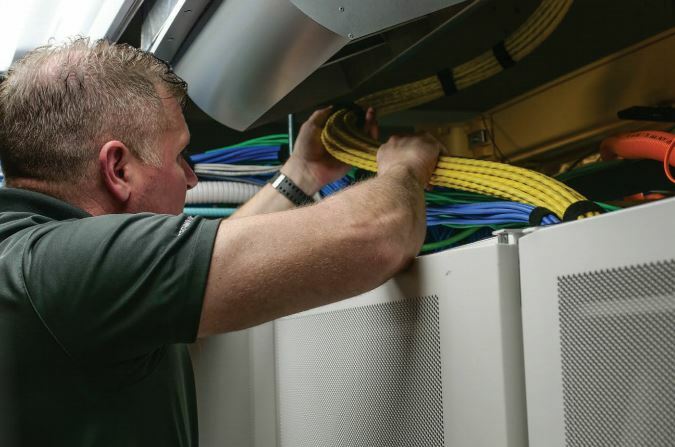 By making sure everyone is confident before they start working, cabling projects flows much smoother, installation is completed faster and rework is minimized. IoT devices and PoE were being deployed campus-wide, but we knew that Toyota also had plans to continue to increase network connections over time. To accommodate this, we gathered details about the type of work they envisioned in the future. Then we chose the appropriate solutions to support that type of work. The new campus utilizes Belden’s 10GXS Category 6A Bonded-Pair cabling. Insulated conductors of 10GXS Category 6A Bonded-Pair cables are affixed along their longitudinal axes, resulting in uniform conductor-to-conductor spacing for consistent electrical performance. The cable’s EquiSpline™ spline under the jacket ensures structural integrity to maintain distance between pairs, ensuring the best performance possible. This robust Category 6A cabling system connects Toyota’s team, no matter where employees are on campus – and will continue to do so long into the future. Using 10GXS Category 6A Bonded-Pair cables also saved up to 25% in terms of space and weight, thanks to a smaller diameter. The smaller diameter also made installation faster and easier. The cable’s easy-to-separate pairs and easy-to-remove barrier tape improved installation time and kept installers on track so Toyota could open its doors in July 2017 as planned. If the installation team would’ve been dealing with heavier, larger-diameter cable, there may have been delays. A fast-track cabling project with a tight timeline, Toyota needed a cabling partner that could keep up and quickly supply millions of linear feet of cable at a time. A key to keeping this project on track was Toyota’s commitment to using a single manufacturer partner. It wanted to streamline communication and work with one trusted advisor that could provide an entire breadth of products so they only had to manage one point of contact. This saved them time and frustration. The cabling and connectivity infrastructure installed across campus helps Toyota be faster to market with new ideas, respond quickly to what their customers desire and make decisions quickly. It also supports Toyota’s continued move toward convergence and digital buildings. If you’ve got a project coming up that will require extensive planning and coordination, comprehensive teamwork and communication, and seamless product delivery and installation, we can help make it happen. To learn more about this project, download the case study below! Michael Masucci has worked in the telecommunications industry throughout his 40-year career, holding business development, project management and engineering positions at Belden. 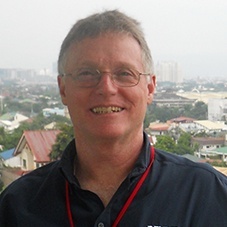 He first joined the company in 1979, and today serves as an enterprise solutions engineer with expertise on the physical layer of the ISO model. He was the Belden’s project manager for the 2010 Vancouver Winter Olympic Games.